After Thursday night’s (relatively tame) shenanigans, I was glad to be able to sleep in a little bit later on Friday than the previous couple days. I had a ticket to a session called Michael Cerbelli’s The Hot List beginning at 9:30. I didn’t really know what to expect, but from what I had gathered it was a decently big deal. I had no idea what I was in for. I rolled in only a few minutes early, crappy hotel room coffee in hand. The room was a large banquet hall with probably 1500 seats set up in front of a massive stage. There were large screens on either side of the stage that were running a “pre-show” video. It wasn’t too long before the crowd settled in and the show began. Basically “The Hot List” was a collection of items, entertainers, and concepts that Michael Cerbelli thinks the event world should know about. I can’t quite figure out how to write about all of this, so I guess I will just pull out my favourite things from the show. The first segment was something that was created and produced to target our event specifically. I can’t really explain what it is, but I can link to a video of what was performed for us live on stage. I really think this is worth a watch, especially if you are involved in planning events of any kind. Here it is, the performance by the talented Steve Connell. This was one of my favourite parts of the show. In the following couple hours, Cerbelli acted as host to a variety of acts, from an Australian operatic man band, to extreme Pogo-ers, to glow dancers, to the world champion of magic, to moving mechanical contraptions, and much more. Cerbelli also shared with us a variety of unique products that could help to make any event a success. This entire show was fascinating, informative, and fun. 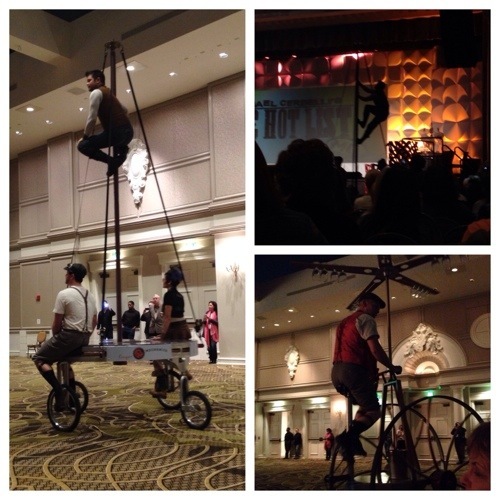 After this show, I attended my last session of the entire conference. “5 Things Every Event Professional Needs to Know About Leadership” with Nan S. Russell was a session full of very useful information. Nan herself was very knowledgeable about the topic and encouraged discussion and questions throughout the hour and a half. Leadership is a valuable skill and quality to have in almost any workplace, and especially in events, given the importance of people and communication skills to this industry. This session was a great way to end off my time at The Special Event 2014, but I am sad that it is over. As soon as I was done, I met with KP by the fire in the Magnolia lobby of the hotel, and we took the shuttle downtown to check into our hostel for the weekend. This was the start of many new adventures! I was finally able to actually be a tourist in Nashville. To read about the rest of the day on Friday, check out KP’s post here. 1. The opposite of trust is control. 2. Great managers don’t manage people – they manage process. On Thursday I woke early again to work my second Hands on Hundred session of the week, at the Masters’ Brunch. 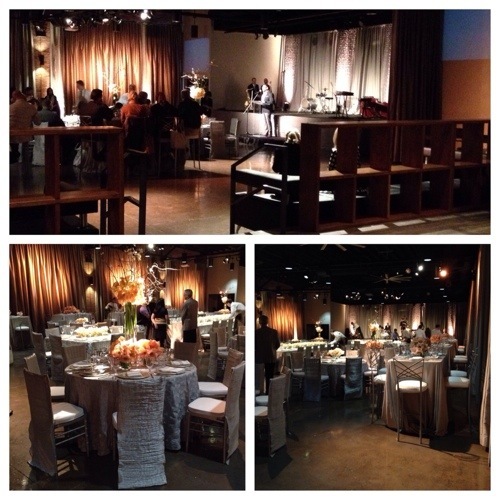 This event was taking place at The Rosewall, a new event venue in Nashville. I wasn’t prepared for how lovely the venue would be, even aside from the beautiful decor the planning committee had put together. We were told that the Rosewall was where Taylor Swift’s CMA after-party was hosted – pretty cool to be in a venue like that! I spent a couple hours polishing glasses, setting tables, and doing whatever needed to be done to pull the last pieces of the event together. The event itself was short and sweet – there were a couple speeches, and a brunch which smelled delicious (but which we volunteers did not get to eat). We did, however, get to sit at the bar chairs so that we had a view of the speakers, so that was pretty neat. On the bus back to the hotel, I made friends with a girl from Arkansas that I had been volunteering with all morning. We chatted about events and our jobs and which sessions we had been to so far. When we arrived at the hotel, she and I grabbed a quick lunch together prior to heading to our separate courses. I now have someone to look up whenever I’m in Arkansas! My first session of the day was “How to Sell Out Your Next Fundraising Event” with Shanon Doolittle. Shanon was a great speaker, and had so many creative marketing ideas to share, that in some cases were specific to fundraising events. I found her session just full of tips and tricks and best practices that I can totally see myself using in the events I currently plan. From business card inserts, to event and auction trailers (a novel idea you can check out here! ), I can’t wait to start putting some of these things to use! My second and last session of the day was “Networking: The Most Important Marketing Tool to Growing Your Business” with Kevin Molesworth. This may have been my favourite session of the entire conference. Kevin was funny, real, likeable, honest and knowledgeable. I laughed and I cried, and he provided some great examples of why networking is important, as well as some tools to become better at it. Networking is not easy, and he knows it, but now I have some ideas of how to take a step in the right direction. After my last session, I hopped on the shuttle to downtown Nashville to meet KP and go for dinner/take in the local live music scene. 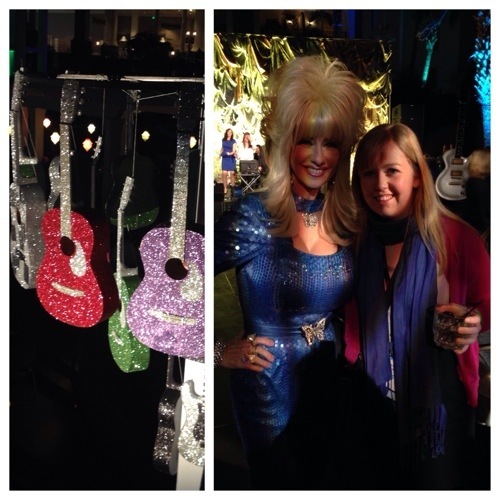 You can read about our evening in her post You Got to Know When to Hold ‘Em. 2. Focus on the experience – not on the event. Focus on the donor, not on the charity. 3. Branding is not a logo. It’s a feeling – an experience. 4. When networking, be the best version of yourself… or the least offensive version. 5. Write your own eulogy, then live it. 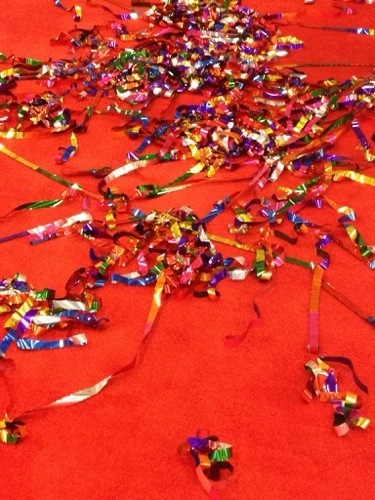 Balloons and Fabrics and Confetti, Oh My! I woke early again the next morning, this time to work my first Hands on Hundred shift of the event. I was to help out at the Opening General Session, greeting people and pointing them in the right direction. This ended up being a really short and low-key event shift, but we did get to see most of the keynote speakers at the session as well. We were whisked away before the end though – we had to head down to the Exhibit Hall to be ready to launch confetti when it was officially announced open. 1. We used an empty Flutterfetti tube and walked through the motion with the direction of the lady from Flutterfetti. 2. We had to do a full, normal paced walk through of the technique one by one. The Flutterfetti lady critiqued our movement and we repeated until we got it right. 3. Once we showed her we could do the motion correctly, we each got to have one real practice shot (I launched mine into the wall). 4. We waited for the exhibition to be announced open, and we each got two shots to “throw” into the crowd (I perfected my technique on my final shot, so much that everyone “ooohed” and “ahhhed” over it – I was pretty proud). Once all this happened, I felt totally Flutterfetti certified. Just saying. I’d really like a certificate actually. After this was all cleaned up I was done my shift. I headed up to my room to have a little bit of downtime and then spent a couple hours in the afternoon touring the exhibit hall. 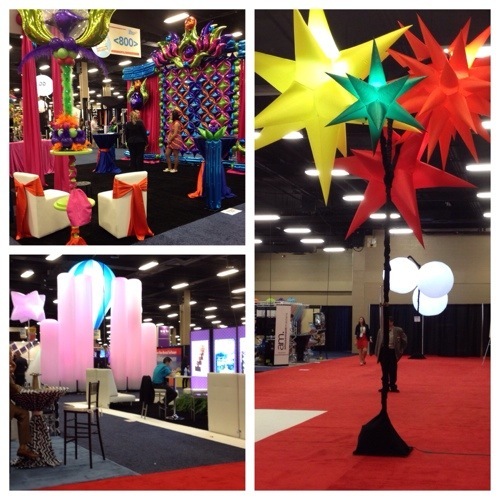 I was unprepared for how absolutely magical a special event trade show is. I wandered up and down the aisles in awe of the beautiful fabrics for sale and decor for rent, as well as the unique entertainment ideas and interesting pieces of technology. I was absolutely in my element and totally could have wandered through there for the rest of the day. But before long, it was time to head to an education session! My first session of the day was “Better Pitches: Mastering the Unexpected” with Matt Elwell. During this session, we were provided with a bunch of different tools and exercises that improvisers use to deal with the unexpected in any situation. These can be used to build skills that would come in handy in almost any line of work. I was definitely provided with some thing to think about in relation to just general conversation. My second session of the day was “Contracts & Negotiation III: What You Don’t Know Can Cost You and Your Clients!” with Mona Meretzky. Mona was extremely knowledgeable on this topic, and provided us with many do’s and don’t of negotiating contracts with different groups, whether for venues, vendors, or clients. I found this session extremely informative and most, if not all, of the information will be useful for me on a regular basis. By the time I finished this session, KP had made it to the hotel! Hurrah! I thought about getting some Flutterfetti to launch for her arrival celebration (because, you know, it’s the best), but that didn’t really pan out. You can read all about her final day in Denver as well as the rest of our evening in her post, It must be my lucky day! 1. Plans are useless, but planning is indispensible. 2. Always be prepared to embrace an unexpected moment. 3. Ask for more than you expect. 4. Flutterfetti is the most fun thing ever. 5. Event trade shows are better than pretty much any other trade show. I woke up in the morning bright and early to be ready for my first conference day at The Special Event 2014. 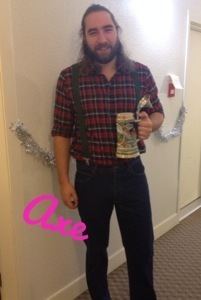 Professional outfit: check. Notebook and pen: check. Desire to learn: check. I was ready! I had five sessions and one special event that I planned to go to that day, so my schedule was pretty jam packed. It started off with a long coffee line, forcing me to go somewhere else to order a drip coffee like some peasant. But as soon as I got to my first session, I was in a much better mood. “New Trends Inspired by Hollywood & Pop Culture” with Hillary Harris was my first session. She is just amazing. Her talk was full of ideas and inspiration for what will be big in events for 2014. I now know how to be on-trend for the year! Some examples: protein-filled breakfasts, morning weddings, fine patterned textiles, craft beers, the colour blue, fish (specifically fluke), switch LED lightbulbs, Pharrell Williams, corduroy furniture, culinary cocktails, and freekeh. Things that are out? 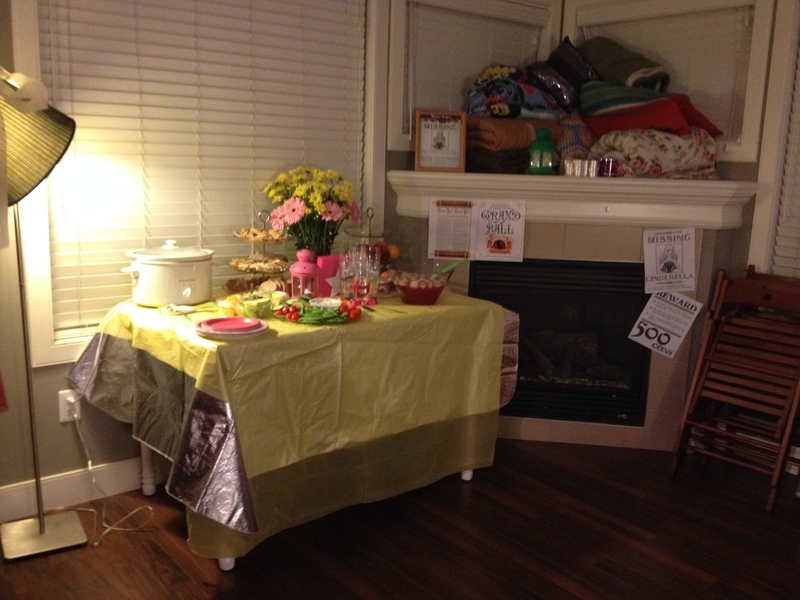 Flavoured vodkas, distressed anything, books, burlap & other textured fabrics, and faux leather. Hillary’s session was colourful and funny as well as inspirational and informative – one of my favourites! I had time for a quick coffee break before the next session – “EXACTLY How to Charge What You’re Worth” with the fabulous Marley Majcher (@thePartyGoddess on Twitter). What an awesome lady! She is funny, humble, blunt, and really knows her stuff. She assures you that no matter how bad things are, she has most certainly been worse off than you. She shares the knowledge she has gained over the years through her various businesses and experiences, and she is incredibly honest throughout it all. She walked us through the method that each of us can use to determine how much we make and how far we have to go to be where we want to be. My next session, “Spark – Fueling the ‘Whiz Bang’ in Events” by Keri Miller was all about looking for inspiration for event concepts and designs everywhere and always. Keri started off showing us a video that her son had put together that was chock full of photos that were interesting and inspiring in some way. Keri went on to walk us through some of the large events she has worked on that provided great examples of thinking outside the box to make an event unique. I have to say, I’ll be starting more than one event inspiration board on Pinterest after being in this session! My fourth session of the day was my least favourite – “Strategic Events: Ideas Worth Executing!”. The idea of something on strategic event planning was very alluring for me, but in the end, this session fell a little flat. The “workshop” they were trying to get us to do was confusing and didn’t get the point across as well as the organizers had hoped, but I appreciate the overall message that we, as event professionals, should be coming up with a plan for conveying the key message of the event and getting lasting value from that message. My final education session of the day was “The Truth About Buying Talent… What You Need to Know”. This session was a panel format, with 3 individuals from the Association for Entertainment Professionals who provided a lot of information and valuable hints about purchasing talent for any size event. I found this session interesting, but was honestly pretty fried by the time I got to it, so I had some trouble focusing. After this session was over, I went back to my room for a bit and heard that KP’s flight that evening was cancelled as well! That’s three flights from Denver to Nashville in a row via United that had been cancelled. I couldn’t believe it. You can read about her adventures from this day in her post, #strandedinDenver. I did speak to her later in the evening and she let me know that she had things figured out and would arrive in Nashville the next day, if all went according to plan. It was soon time to join my friend from Boston at the “TSE Starts Here… Whatever Makes You Feel like a Rock Star” event. It was a kick off event for the conference and took place at the hotel, which was handy. There are several showcasing events thoughout the week that serve a dual purpose: as networking events, and as a chance to see many of the things we spend the week talking about put into action. I had a lovely evening meeting a bunch of people from the Boston area and got back to the hotel room in time to FaceTime with KP before bed. 1) For signs of trends to come in events, watch fashion closely – our industry is about 6 months behind them (and your specific area may be even more than that)! 2) The key to charging what you’re worth, is knowing what you’re worth. When you know it, you can sell it! 3) Look for inspiration anywhere, everywhere, and always. 4) Think about entertainment at the very start of the planning process – sometimes later is too late to get and provide what you really want. I could hardly believe it. I was on a plane. After delays and frustration and a long night spent sleeping on the floor of the Denver airport, I was on a plane. I would make it in time for my pre-event meeting, and KP would join me in Nashville later that evening (or so I thought). I spent the flight in a state of disbelief, just happy to be on my way. We arrived more quickly than I thought we would, and I wandered towards the baggage carousels, in awe of the live performers and country music present throughout the building. In the baggage claim area, there were hundreds of unclaimed suitcases hanging out by the United baggage office, from people trying to make their way here. I counted myself lucky that I had made it. I waited for the bags from my flight, and to my delight, both my suitcase and KP’s were present. 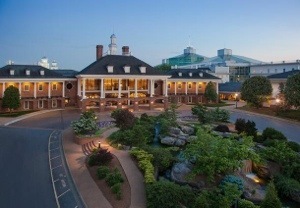 I snagged them both and went to find the shuttle to my hotel, the Gaylord Opryland Resort. This hotel is just insane. I don’t even know how to explain it, so I’m not going to! Check out KP’s blog post on it here! Long story short, I found my way to the room and crashed for a little while, still exhausted from the sleepless night. I didn’t have long before it was time to get ready for my meeting, so I tried to look as though I hadn’t slept on an airport floor the night before. While at this conference, I am working a couple of the showcasing events. It is an opportunity to see the back end of the special events as well as get a full education package at a discounted rate. This was why I had a meeting the day before the conference starts – it was an orientation session for all of the “Hands on Hundred”, their term for our group helping out with the events. Everyone at this meeting was horrified by my story of the night before, so I guess at least I got that out of the experience… a good story. I came out of the meeting excited about the week to come, and with a new friend from Boston! She and I exchanged phone numbers and made plans to meet up the next day. After the meeting, I picked up some food and headed back to my room to relax. I found out just after eating that KP’s hopeful flight for that night had been cancelled! We FaceTimed for a bit while she waited in the awful United Customer Service line AGAIN. I resigned myself to hanging out alone in Nashville for the near future, while KP resigned herself to at least one more night in the Denver airport. I won’t go into too many details on her adventures, but you can catch up with her blog through the links I provided earlier if you want to know all about it. Before long it was time for bed! After all, my first-ever big conference started bright and early the next morning. More to come on that soon, but I needed to set the scene! Get ready for some awesome event-related knowledge in the next few posts!! 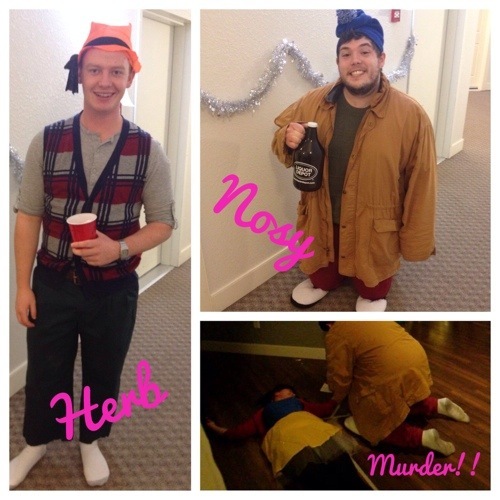 Near the end of November, my roommate and I hosted a Murder Mystery Party. 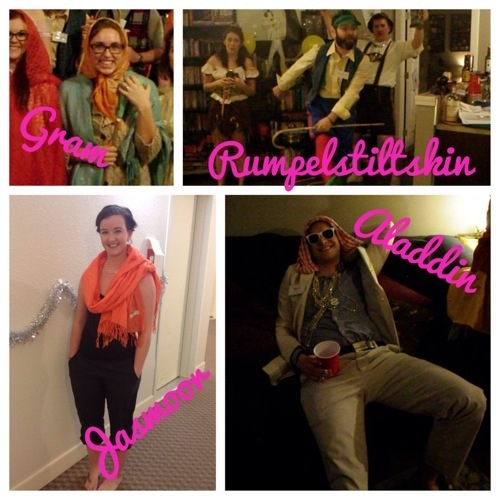 Our mystery was called “Once Upon a Murder“, and boy did everyone go all in for it. You can read more about it in her post Everything is More Fun in Costume if you want to find out about how to plan and host a party like this one. 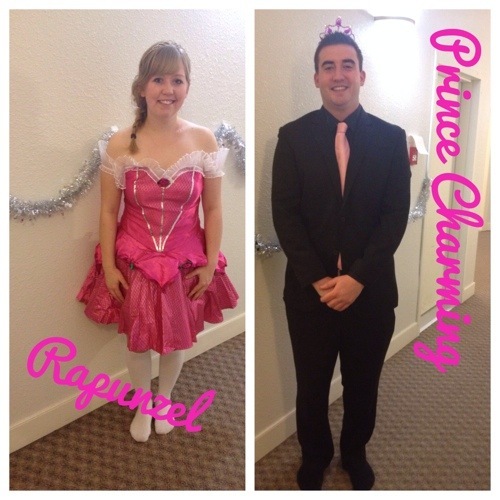 Today on Yukon Girl in the World, one of the guests at the Grand Ball, Rapunzel, offered to write a guest blog post about her experience at the event (don’t read ahead if you don’t want spoilers on this particular murder mystery!!). So here it is – enjoy! As soon as I saw the flyers for the Grand Ball, and heard the rumours that the Prince was looking for a new bride, I knew that it had to be me. You see, I knew Cinderella was never coming back. She was missing because she wanted to be missing. I dressed in my ball gown best and arrived early so that I could judge all of my competition as they entered, as well as scope out my future residence, the palace. The room looked amazing, except for the fact that Cinderella’s face was posted everywhere for all to see, on “MISSING” posters around the room. The last thing I needed was for Prince Charming to be reminded about his beloved wife. 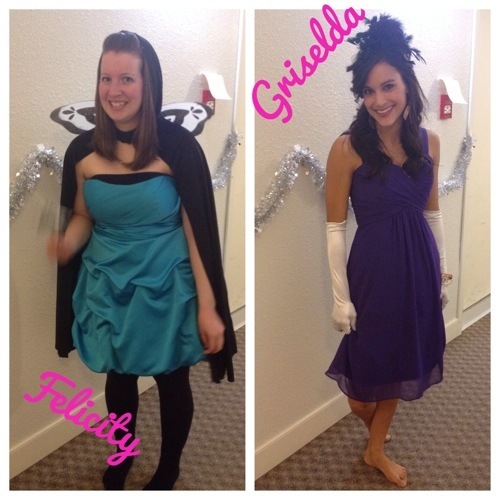 Cinderella’s grieving step-sister and godmother, Griselda and Felicity, were in attendance for the evening despite their despair and just kept bringing her up! That I could have done without. Guests began to arrive and most were punctual, though Aladdin did arrive fashionably late. Word on the street is that Aladdin has a harem of wives, so I’m sure he just got caught up with one of them before arriving at the Ball with his one official wife, Jasmoor. Rumpelstiltskin and Gram spent far too much time primping in the lavatory before joining the festivities – don’t they know that one should arrive at a Ball ready to impress? Speaking of impressing, I was sure to make myself known to the handsome Prince Charming as soon as I could. 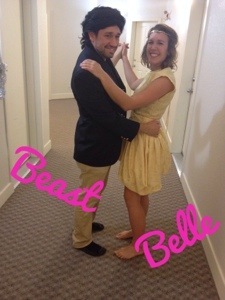 We will make such a cute couple, don’t you think? And his palace is beautiful, not to mention it has many bedrooms and bathrooms – I’m sure I can find a use for them all. The square footage will be quite a step up from the tower I currently own. I spent far too many years trapped there to want to return anytime soon. Aside from that, my tower has been… occupied… for the past little while, so it is useless anyhow. The Prince’s attention was in high demand, so I had to watch as all the other women in the room spoke with him. That poor Hansel spent his time pursuing my affections, but I have told him time and time again that I would never consider him until he has a suitable place to live, without his sister Gretel there to take up space. 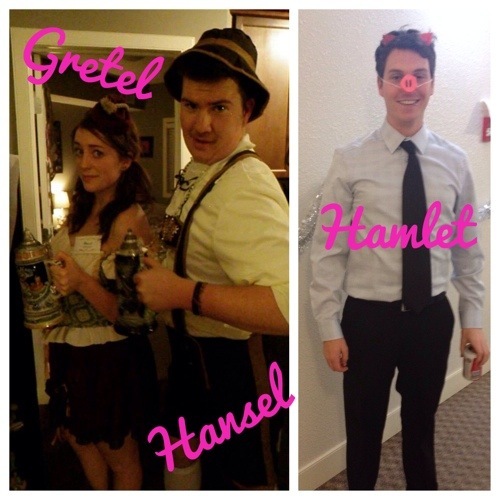 He definitely needs to speak to Hamlet – or perhaps Gretel does. That Hamlet is quite the realtor, though he was not able to sell my tower before it went off the market. You can follow him on Twitter at @oinkrealty. I had to take Axe the woodcutter aside during the evening to remind him of his payment due to me for our… arrangement… with my tower. Luckily, he paid up easily – we both have much to lose in this situation. And really, no price is too great for a matter of the heart. Belle and Beast looked just fabulous, though there are whispers about the Beast running off into the woods a little too often, and I hear that Belle is suspicious. I do hope things work out for them as I think they are a lovely couple. The Prince gave so much particular attention throughout the evening to that Red – I do not like that girl. I did quite like her red lace hood, though I’m not sure it was Ball-appropriate wear. She was skipping around the room and offering cookies to all, but I could see that she only gave the Prince cookies out of one side of the basket. I knew right away there was something up with that. Red confessed later that she had used a special “love potion” type recipe for those cookies in an attempt to snare the Prince. 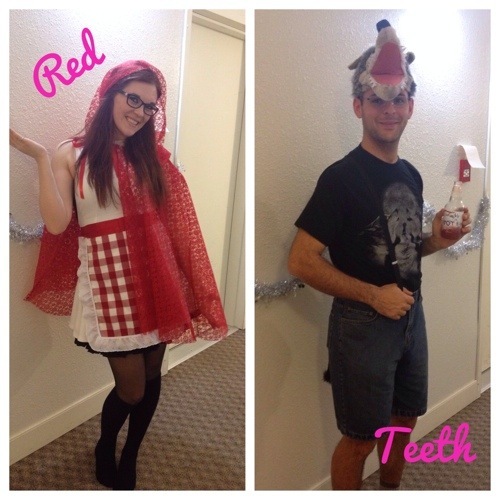 I personally think that she should just settle for that wolf that is after her affections, Teeth. Who cares if he spent the evening drinking something that looked suspiciously like blood, or if tried to eat her once? He loves her now. Snow White was also one of the Prince’s favourites. I still can’t believe she showed up to the ball in such a colourful outfit – red, yellow, and blue! A queen should dress in a fashionable way, not in one that results in an assault on the eyes. Her outfit condemned her from being the Prince’s choice. That being said, I suppose I should not speak ill of the dead. For Snow White is that – dead! 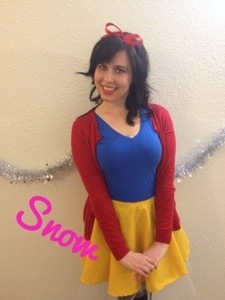 If you have not already heard the most scandalous news in the kingdom, Snow White was murdered at the Grand Ball. The night was ruined, all because of some dwarf named Herb – it was one of her own henchmen who became Snow’s demise. Quite awkward for Nosy the Dwarf, really, as he conducted the investigation after the tragic event occurred. They say that Herb murdered Snow because she was trying to keep he and his true love, Gretel, apart. Poor Gretel spent the rest of the evening just trying to understand! It is such a shame, what happened to Snow. But I can’t say that having her out of the way made my pursuit of the Prince’s affections more difficult. Because of this tragedy, the Prince refused to announce his choice for queen at the Ball, so I will await the next opportunity to be named. I simply cannot wait to move into the palace!